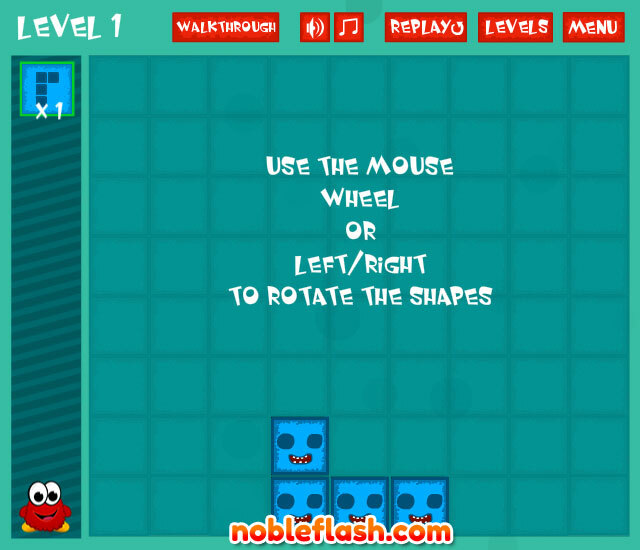 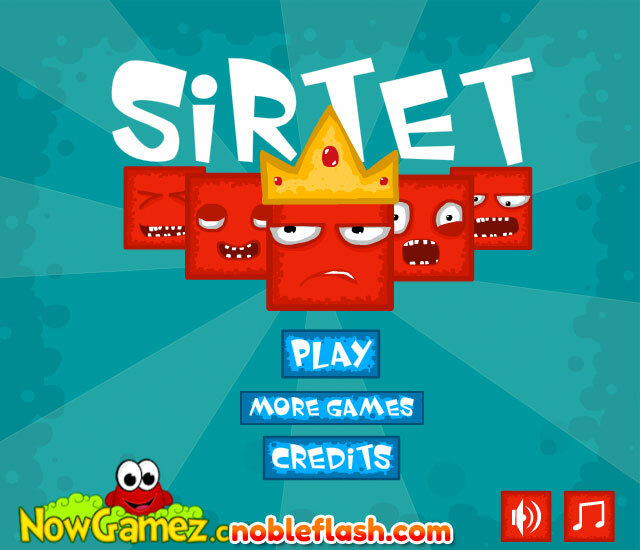 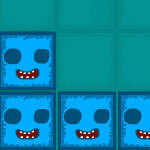 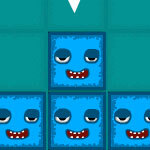 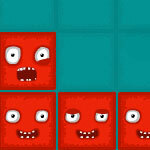 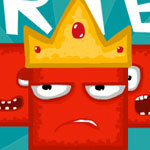 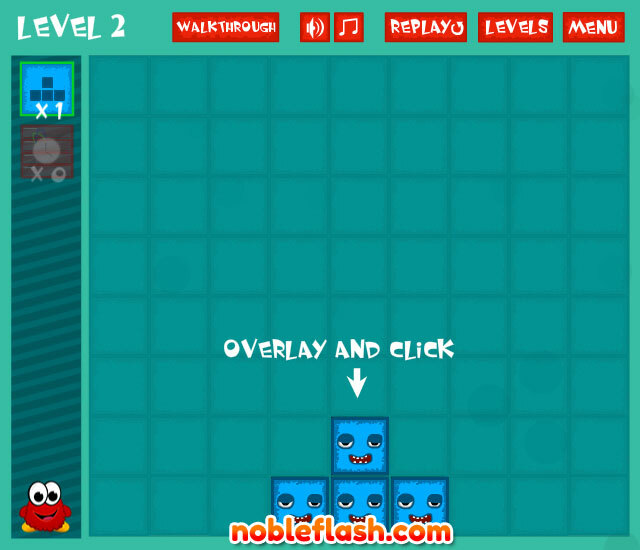 Use the blue blocks to destroy the evil red blocks in this fun puzzle game!. 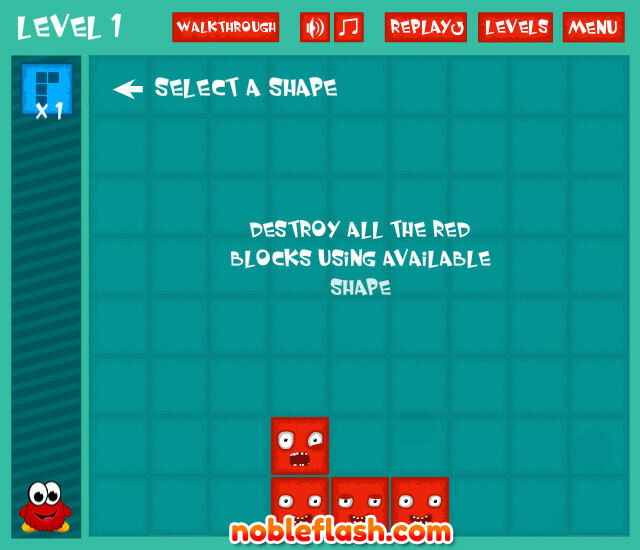 Red blocks vanish when you put shapes on top of them, and you have to clear the level before you can move on. 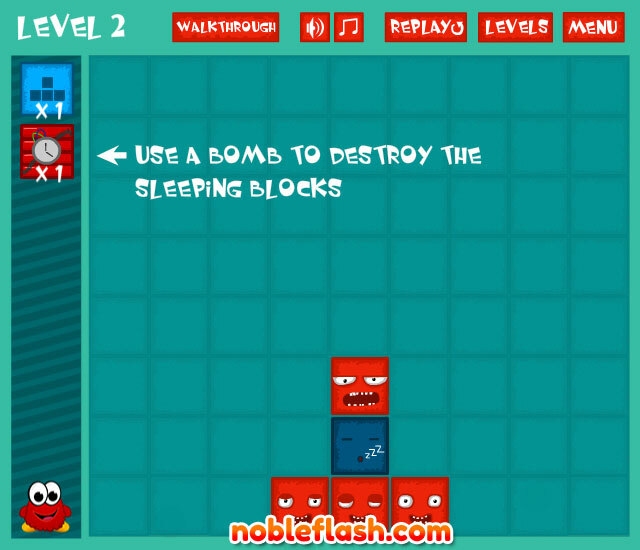 There are also the sleeping blocks, which can only be destroyed by bombs.